About the Author: Saanya is a writer on contemporary culture, politics, travel and lifestyle. She blogs at www.saanyagulati.com, and is currently completing her Masters at the LSE in London. Her work has previously been published in Times of India, DNA, Youth Ki Awaaz & more. She was one of our first buyers, and continues to be a loyal Tarini Nirula customer, carrying off these arm candies with flawless style! What do prisms of light and Rajasthani forts have in common? 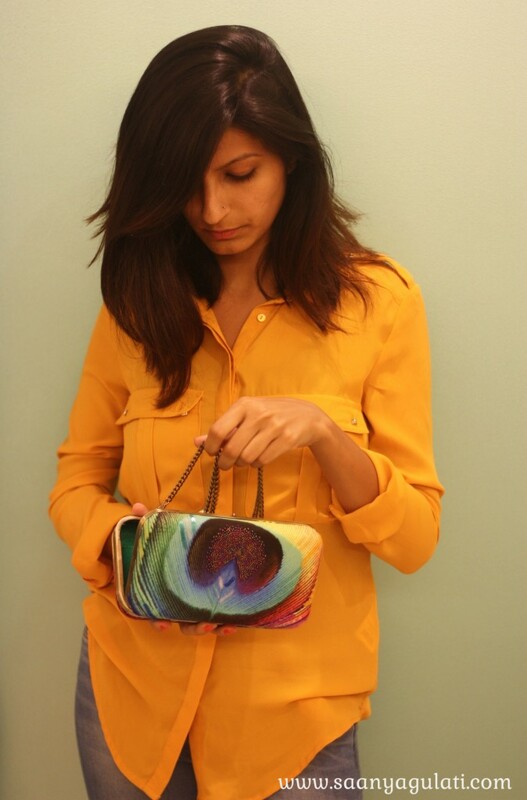 Tarini Nirula is here to explain with her latest collections of occasion-wear bags. Tarini Nirula, one of my favorite accessory designers, who I have previously collaborated with on my blog, recently launched two new collections. True to the TN brand, these are no ordinary bags – each exquisite statement piece has a story behind it. Yes, these are a few of Tarini’s favorite things. If you didn’t get the reference, educate yourself here). 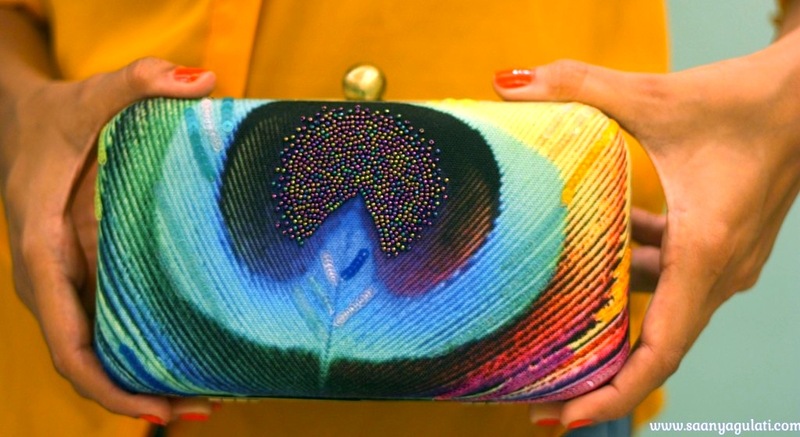 “Iridescence is inspired by the natural elements around us,” Tarini explains. Meticulous handcrafting is the hallmark of Iridescence, and Tropical Bliss, one of my favorite pieces, is a testament to that. This piece took almost 9 hours to complete, officially making it the most intricately designed piece of the entire collection. 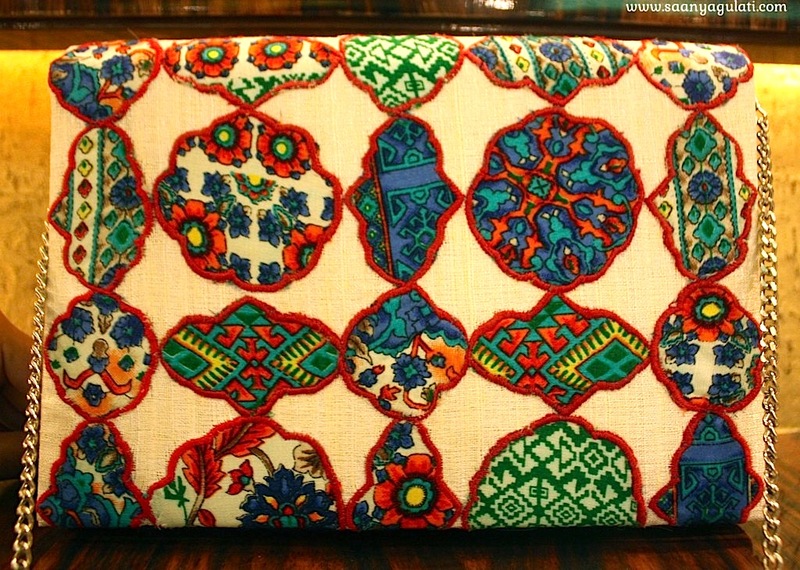 Tarini has a team of skilled artisans working across Delhi. 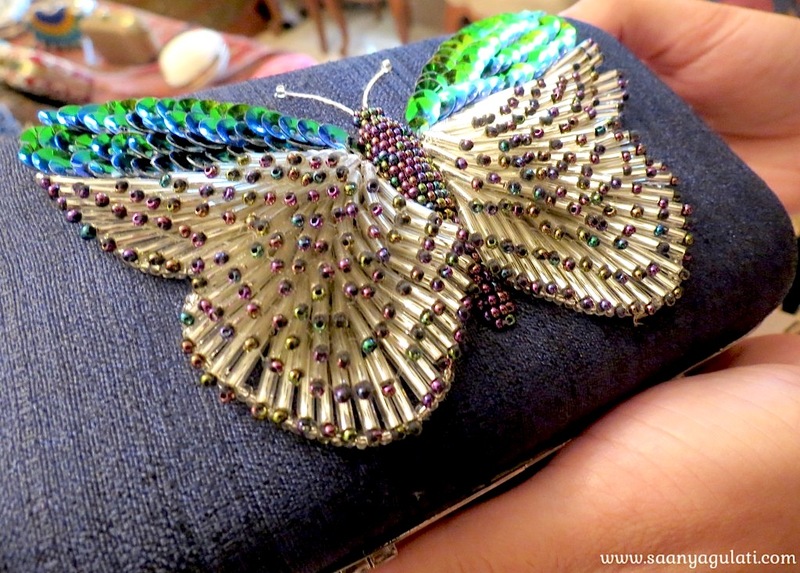 In Tropical Bliss, a bead has been hand-stitched onto the end of each pipe to embellish the wings. Iridescence is a departure from Tarini’s earlier collections in its innovative usage of textures and dimensions. The collection uses a wide palette of colours to give the feeling of iridescence. The bags go best with vibrant plains. You can even transform your everyday work outfit into evening-wear like I have done here with Majestic. Lattice work, mirrored mosaics, and intricate carvings adorn the historic forts of Rajasthan. Jaipur’s Amer Fort, which is one of the city’s largest forts, was the main inspiration for this collection – and thus its name. 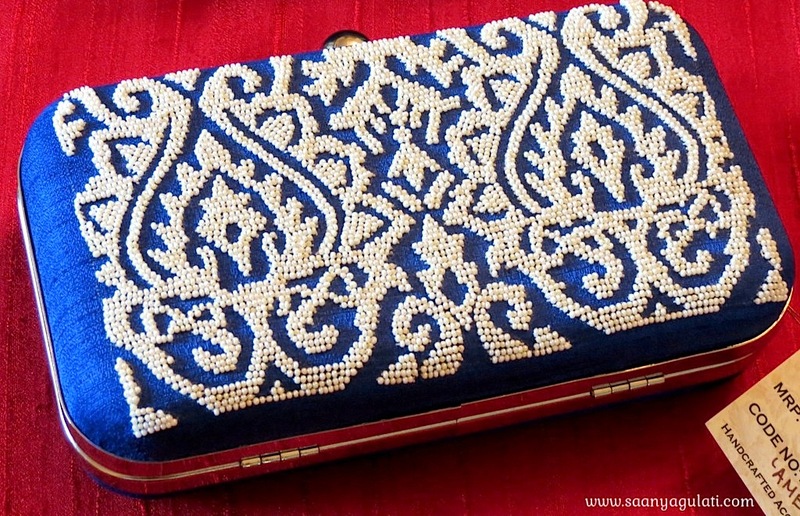 'Rani', which I have my eye on, can be styled with almost any outfit. It is inspired by the intricately carved windows that are characteristic of Rajasthani architecture, through which rani's (queens) viewed the world. 'Appliqué' is inspired by the famous patchwork of Jaipur – a complex needlework technique in which patterns are created by stitching smaller pieces of fabric together. 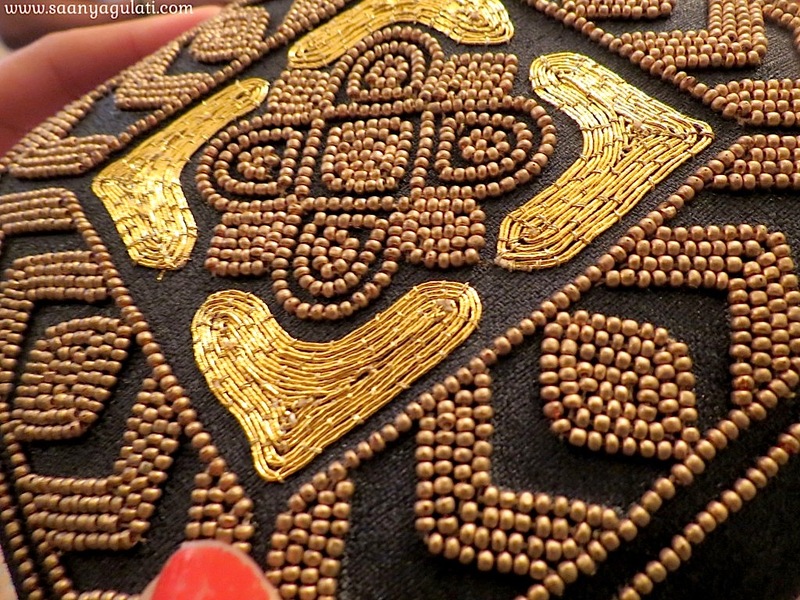 I have styled 'Applique' with Indian-wear, though its versatile enough to accessorize a casual western outfit too. 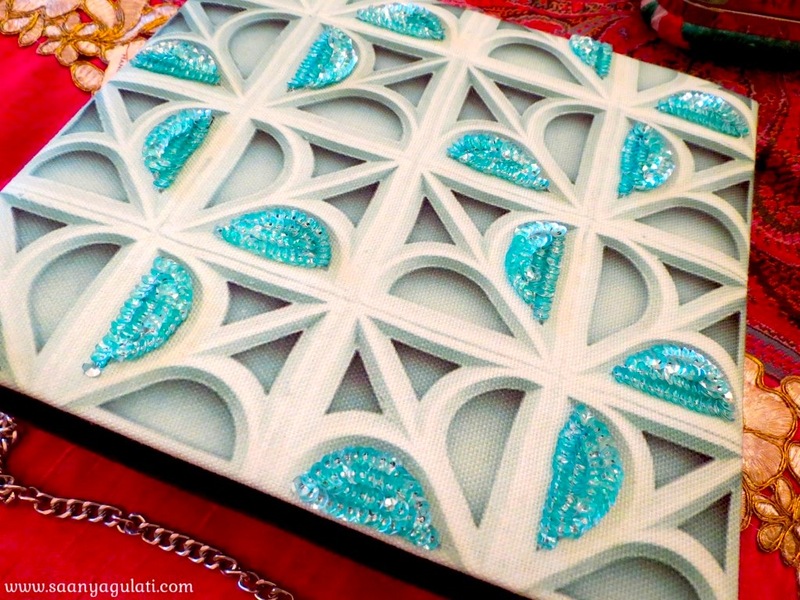 'Ferozi' is an interesting interpretation of the Latticework in Rajasthani architecture – the usage of sequins also gives the feeling of depth. 'Amer' is another classic, which uses simple textures and colours to create a beautiful design. “I wanted these collections to be different, she says – and different they truly are! Check out Tarini’s latest collections on her online store, and follow her on Instagram and Facebook to stay updated with her latest designs.